Lotti plays off of Cali's text so well. She not only enhances the words, she creates her own little visual jokes that will have readers laughing out loud. 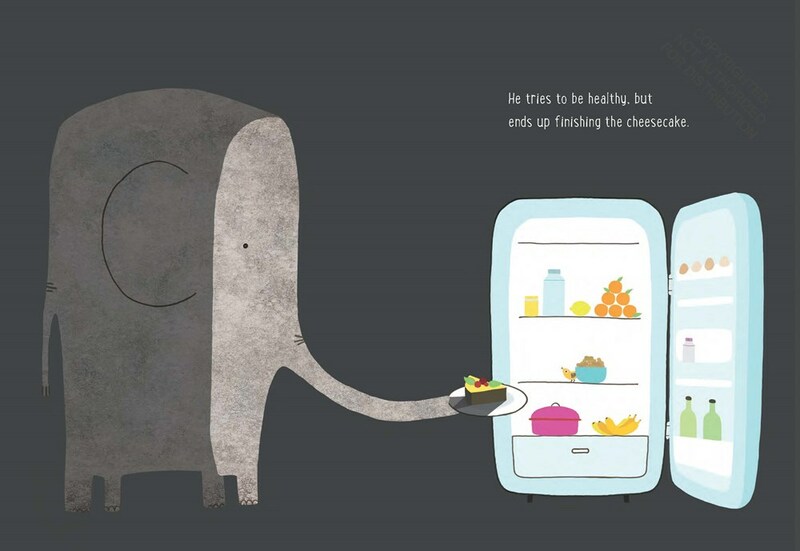 Cali's text tells us that an elephant will hide from the one he loves, but Lotti hides the elephant behind possible the skinniest tree in the world. We even see the elephant surrounded by very small animals--a bird, snail, and butterfly--to further emphasize just how big the elephant is behind the tree. 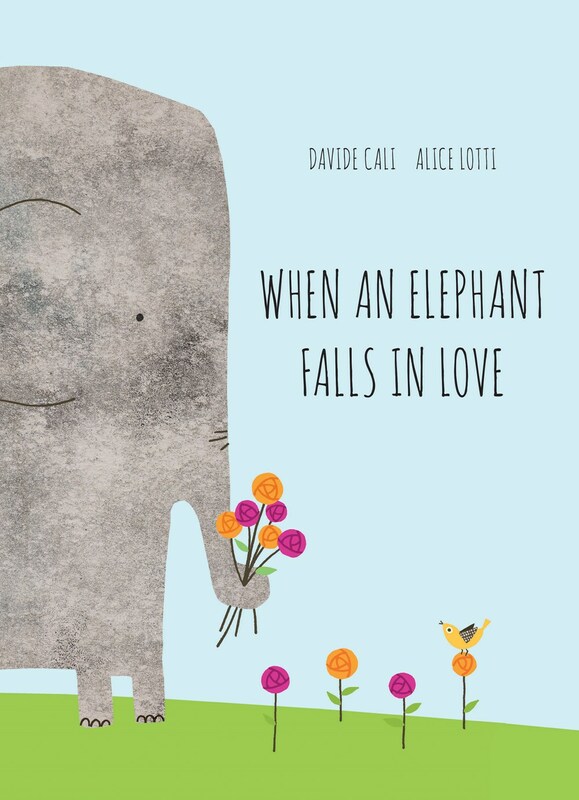 Everyone does silly things in the name of love (which Cali conveys with the text), but Lotti adds a whimsical sense of humor to the actions with the illustrations. When an Elephant Falls in Love is relatable and honest about love and reminds readers that true love comes to those who wait.